Why Should I get a Doctorate in Education? Earning a Doctorate in Education is a major accomplishment. This means an individual has chosen to spend up to ten years or more studying the various aspects of education. Those who choose to get a Doctorate in Education are those committed to spending a life's career in the field of education. These are also individuals that love learning, teaching, and leading within a school or other educational system. A Doctorate in Education can include a large number of areas. Specialties can include special education, early childhood education, adult education, secondary education, or elementary education. A Doctorate in Education typically comes in two forms, that of a Ph.D. or an Ed.D. Both forms of the degree can lead to higher paying, education related careers. For those who choose to earn a Doctorate degree in Education, many career opportunities are available. While not all positions require a doctoral degree, all are available at this level. Doctorate degree holders of education degrees can be program directors within the school system, academic coaches, teachers, professors, principals, board members, and more. The field of education has evolved greatly over the years. In the beginning, most children were educated at home by parents. Education levels were low as most of the focus was on agricultural and other labor skills. In time, schools were formed and compulsory education was maintained up to the fifth or sixth grade. As more time passed, education levels were expected at higher levels for all students. Compulsory education extended into young adulthood and high school. Currently, more and more adults are students in post secondary programs, which means that educators are needed at every level. Earning a Doctorate Degree in Education is the highest level of opportunity for those in the education realm. This level of degree can be earned online or face to face and will provide the most forms of employment upon completion. As mentioned, a Doctoral degree in Education can come as a Ph.D. or Ed.D. A Ph.D. degree is typically for the individual who wishes to teach and conduct research at the university level. In many cases, the Ed.D. is for those who wish to teach or are interested in the technical side of education, including creating curricula and improving educational systems. Typically, a person entering a Doctoral program will hold a Master's Degree. However, this is not necessary for all programs as some allow students to earn a Master's and Doctorate simultaneously. Doctoral programs will require a GRE score, most will require proof of teaching licensure, experience, recommendation letters, and personal statements with an application. Each college and university will have slightly different requirements that must be met. A typical Doctorate of Education will take 3 to 5 years to complete with dissertation. However, those who enter a program without a Master's Degree will need an additional 1 to 2 years to complete their degree requirements. A Doctoral Degree in Teacher Leadership is designed for individuals who want careers as facilitators, instructional coaches, and leaders within the school system or state. An educational leader may offer workshops, help schools implement new testing procedures, programs, or new curricula, or even work to create major changes in overall educational systems. This type of career is for those who are willing to lead, take the spotlight, and create new paths to a better form of education. A Doctorate in Community College Leadership (DCCL) is for leaders of mission-driven, 21st century community colleges. This type of program would prepare leaders for the challenges faced at the community college level. Topics such as finance, marketing, teaching, resource development, and technology would all be part of a program on community college leadership. Educational Administration is in reference to those who lead schools or districts. This may include individual principals, board members, or even superintendents. Those who study Educational Administration will be prepared to be change leaders in all grade levels and all district levels as needed. This area typically leads to certification as a principal, which will require Praxis testing. Those who choose to earn a degree in K-12 Educational Leadership tend to focus on one of four tracks. These may include curriculum, staff development, and instruction, instructional technology, pupil personnel services, an school system leadership. Some of these individuals will end up as principals or superintendents, while others may work as school officers to ensure attendance or offer services to those in need. Individuals in this field need to have a love of education and what is best for teachers, students, and staff within a school system. Those who choose to earn a degree in Educational Leadership and Policy Studies are those who want to go into the field of educational reform. These individuals may work at the local, district, or state level to create educational reform to better education for all students. These same individuals may choose to work as facilitators or instructional coaches that help teachers and principals implement new curricula or projects that will work within the individual schools. Click on the links to learn more about a career as School Administrator. Survey of educational policy issues from the perspective of both history and philosophy. Click on the links below to expand information on other related doctorate degrees in education and see details on degree requirements and courses needed. Get more information on earning a Doctorate Degree in Child Development. A Doctorate degree in Child Development can lead to many exciting careers. Over the course of four to six years a Doctorate degree can be earned while gaining practical experience in a field related to the degree. This type of degree will open doors to higher paying jobs as Educational directors, Special needs specialists, and even Preschool admissions helpers. A Doctorate in Early Childhood Education is the highest degree that can be earned for this area. Degrees are available as either Ph.D. or Ed.D certifications and can lead to jobs as a teacher, preschool director, or even grant writer. If working with young children and families is appealing this may be a career choice you will love. Read about what it takes to earn a Early Childhood Education Doctorate Degree. A Doctorate in Elementary Education can come in the form of a Ph.D. or Ed.D. Both degrees will allow the holder different career opportunities. A Ph.D most often leads to a job as a post secondary educator of future teachers, but could also lead to jobs as a principal or academic coach. An Ed.D. could also lead to jobs as an academic coach, teacher, or in some cases a professor. Both degrees can likely be obtained in part online or on campus. A great deal of research, including a dissertation, will be required over the course of about four years. Get more information on earning a Doctorate Degree in Elementary Education. Learn more about getting your Library Science Doctorate Degree. A Doctoral degree in Library Science is the highest degree you can earn in the field. Completing just the Doctorate level can take between three and five years, but may take longer if beginning immediately following the Bachelor’s level. This level will require a presentation in some form, but the majority of classes may be available online and on campus if desired. Classes will vary greatly at this level due to specialization. A Doctorate degree in Adult Education allows the holder the opportunity to choose a specialization that could lead to a number of different forms of employment. Whether you wish to work in the corporate world or at a local college, this type of degree can offer the preparation you need. Most classes can be taken online with some seminars and capstone areas requiring a personal experience. A Doctorate can be earned in 3 to 6 years depending on the specialization. 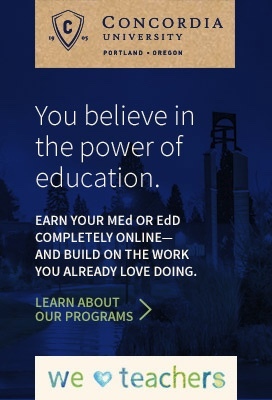 Considering a a Doctorate Degree in Master's in Adult Education? Earning a Doctorate degree in Educational Leadership and Administration can seem like a huge undertaking. This type of degree is cost and time intensive, but greatly increases employment options within the educational realm. Earning this type of degree can be done in 3 to 6 years depending on the chosen specialty and maybe done in part online or in full on campus. A dissertation is a requirement for all doctoral programs. See details on getting a Doctorate Degree in Master's in Education Administration. Those who wish to obtain a Master’s Degree in Elementary Education usually have a desire to advance in their careers within the field of education. Many experience educators want to master their pedagogical practices in the classroom while others want to become teacher leaders or administrators. Interested in earning a Doctorate Degree in Master's in Elementary Education? Learn more about getting your Master's in School Counseling Doctorate Degree. A Doctorate degree in Educational & School Counseling is available in an online or in person format in part from a number of colleges and universities. A great deal of research and a dissertation will be required at this level, but the number of careers that can open up after gaining a Doctoral degree may be worth the effort. This type of degree can take between 3 and 6 years to complete depending on course load. A Doctorate degree in Secondary Education can open the door to a job as an educational leader, professor, or instructional coach. Doctoral degrees in this field are available as a Ph.D. or Ed.D. based on the future goals of the student. Hybrid programs that are partially online and partially face to face are available. Learn more about getting your Secondary Education Doctorate Degree. Considering a a Doctorate Degree in Special Education? A Doctorate Degree in Special Education is a big undertaking for any student. However, programs offered online and in person lead to a degree that qualifies the holder as a leader in the field of education or research. Two types of Doctorate degrees, the Ph.D. or M.Ed. are in existence for students in this field. Earning a Doctorate degree in Education can be a time consuming experience. This may be a hindrance to some who are also trying to work full time or raise a family. One way to limit classroom time is to seek a Doctorate in Education online through an accredited university or college. This will require all of the necessary coursework, but from the convenience of home. As many students choose online programs, one of the biggest appeals seems to be the flexibility. A lot of doctorate candidates have taken some time away from schooling. With that said, they may have accumulated more family and work responsibilities. These aspects limit their time and ability to attend traditional classes on a college campus. With online classes, students will not be required to re-organize their lives around their school schedule. Rather, students can study and complete assignment whenever and wherever it fits into their existing schedules. Online degree programs take away the fear of missing classes because of work or other family obligations. Online education open up new possibilities for students. Online degree programs offer a variety of options for students to choose from. Doctorate candidates will be able to select a program regardless of location and proximity to the campus. This alone opens up many opportunities for students and their education. Students will be able to choose a degree plan based on the program's details rather than settling for an option merely because it is convenient to travel to. As with any schooling, it is important to do your research. Before signing on, make sure the program is accredited. Many online schools boast short degree programs. In other words, candidates have the option to complete their degree requirements faster than they would be able to with a traditional route. Keep in mind that the compacted schedule may make the program seem more rigorous. Do consider this all prior to jumping on board. Washington University provides an Ed.D program in Leadership for Learning. Here is some useful information about the institution, including program overview, required courses, admission requirements, and tuition. Program Overview: This program is designed to help students engage in discussions that deepen their own thinking and enhance personal growth in leadership in and through education. Required Courses: There are 45 credit hours required for this Doctorate in Leadership for Learning. Electives are chosen by the student and advisor in advance. Admission Requirements: To be admitted to the graduate program, a student must first apply for and receive an admittance packet. This will be sent online and must be completed online. Official transcripts for all Master's level work is required with reference letters and proof of GPA. You must also pay an enrollment fee. Tuition: Tuition will vary depending on class load and residency, but will average about $17,000 per year for full time students. The Doctorate of Education program is designed for individuals who have proven their dedication to the field of education. These individuals have demonstrated leadership ability in diverse educational settings. They are motivated individuals with the willingness to climb the ranks within the field of education. Many doctoral candidates go on to administrative positions and roles in district offices. If you are thinking about earning a Doctorate in Education, it may be a good time to begin thinking about how to pay for your degree. Many organizations, employers, private parties, and companies offer scholarships to help students pay for their education. Fellowships, grants, and scholarships do not require repayment. With that said, it is a good idea to know about the great funding opportunities that are available to you. The following are just two of the scholarships that may be good for you. The Teacher as Researcher Grant offers $1,000 to $5,000 to current teachers and graduate students who are working towards improving literacy. The grant supports teachers who take on action research about literacy and instruction in the classroom. The Edwna Wheadon Postgraduate Training Scholarship Fund is dedicated to teachers who are committed to professional development. To qualify, you must be an English/Language Arts teacher in a publically funded school as well as a member of NCTE (membership must be as of Dec. 31st of the year prior to scholarship deadline). Applications must be submitted no later than January 31st of each year. The scholarship is in the amount of $500 or more and can be used toward degree or non-degree courses. Visit our Scholarships and Grants page to learn more about other opportunities that are available to you. A Doctorate in Education is highly likely to lead into a job in the educational realm, but the areas within education that one can venture into vary widely. Look at just a few of the options below. Those who earn a Ph.D are highly qualified to teach at the post secondary level. These are college professors and leaders of future teachers. Though it is likely that some actual classroom experience will be required prior to being hired, one with a Doctorate in Education is capable of teaching at this high level. As more people are entering post secondary institutions this field is growing as well. Starting salary for such positions are about $62,000 yearly. Read more on becoming a College Professor. This is one area in which a Doctorate is absolutely necessary. A school psychologist (or in some cases a counselor) will help students with school related problems. School counselors will also often help with scheduling or testing accommodations when needed. Job growth is steady in this area with a starting salary of $67,000 in most areas. A school principal is an administrator at the elementary, middle, or high school level. This person may be required to administer discipline, hire and assess teachers and staff, cover budget issues, and meet with other district leaders over curricula issues. The average salary for principals is about $87,000 yearly with the highest job growth in the southern and western regions of the U.S. Follow the link to learn more about the career of a School Principal. Curriculum coordinators design and decide what type of curriculum is taught within school systems. Some designers may work in creating standardized tests as entrance exams or state-wide assessments. Those coordinators that work in the school system work closely with teachers and principals to coordinate curriculum through determining what learning materials and lessons are needed for improvement. Job growth in this area is above average at about 20 percent. A typical starting salary for a coordinator is about $59,000 yearly.